Adam Coremin has been in the wine industry since 2003. Adam is currently the Senior Vice President of Sales for Precept Wine, the largest privately held wine company in the Northwest, based in Seattle, Washington. Prior to his role with Precept, he held management positions with Silver Oak Cellars, Opici Family Distributing and Michael David Winery. In 2008, Adam founded Decades 5 Winery in Napa Valley, a boutique producer of Petit Verdot from the esteemed Stagecoach Vineyard on Atlas Peak. 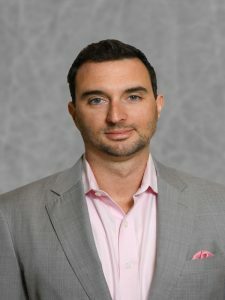 Adam is a graduate of North Carolina State University’s College of Management- 2002, College of Humanities and Social Science -2003 and received his MBA from Wake Forest University.